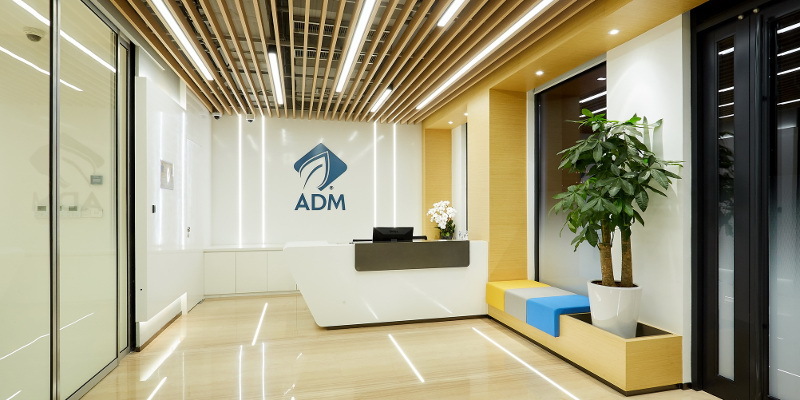 Archer Daniels Midland Company (ADM) celebrates the opening of its new regional office and innovation center in Shanghai, China. At the innovation center, ADM will work closely with customers to create complete flavor and specialty ingredient solutions. It will be staffed by a team of food scientists, flavor specialists and applications experts, along with sales, marketing and regulatory personnel. “With today’s busy lifestyles, people are turning to healthier eating habits, accelerating changes in consumer tastes and preferences at an unprecedented rate. For ADM, Shanghai has played a critical role in our continued growth and innovation. To help Asia-Pacific food and beverage customers remain a step ahead, we’re excited to leverage our technology, expertise and global scale,” says Donald Chen, ADM’s president, Asia. Vince Macciocchi, president of ADM’s nutrition business, adds that around the world, ADM continues to invest to ensure for developing and providing solution for clean label, sustainable ingredients and great taste. “This new facility enhances our portfolio and capabilities ensuring our customers meet consumer demands for new, innovative food and beverages,” he says. The new innovation center features a wide range of capabilities, including a food and flavor analytic lab; beverage and dairy applications labs and pilot plants; a bakery lab; a confectionery and personal care lab; a culinary kitchen; flavor creation labs; sensory evaluation facilities; and a customer innovation center, ADM explains. China is home to approximately 675 ADM employees, with application labs in Beijing, Shanghai and Guangzhou.